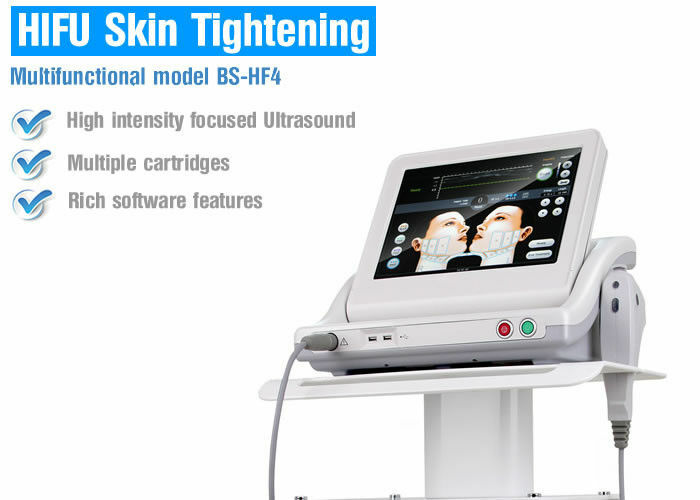 HIFU beauty system uses an advanced new high-intensity focused ultrasound technology(HIFU for short). 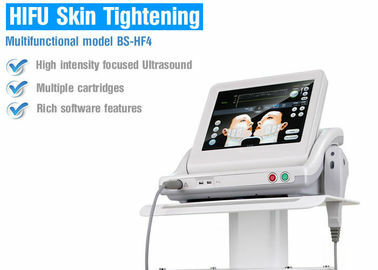 The machine will release highly concentrated focus sonic energy which can directly penetrate into the skin and deep SMAS facial skin tissue that can stimulate and renew skin's collagen and thus tighten the skin and remove wrinkles. It successfully achieves a quite good result of skin tighening and face lifting without any help of invasive surgeries. 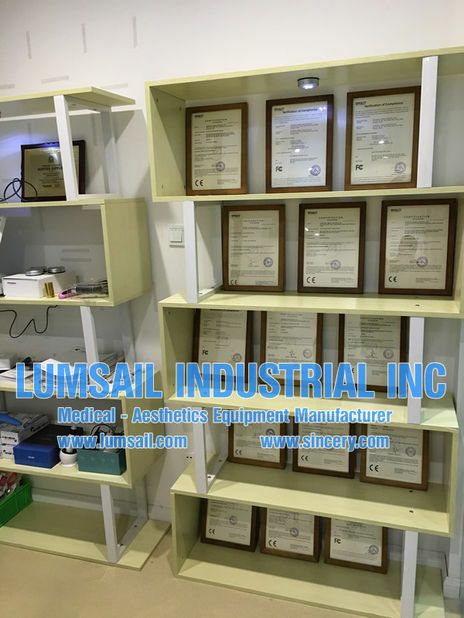 Real face lifting treatment, the same results as face lifting plastic surgery. 2. Fast treatment: 30 minutes for one face treatment. 3. No downtime: only within the first several hours skin becomes red,then get recovered soon. Obvious results: amazing results will appear from second month to ninth month,and results will last 2-3 years. More than10,000 shots according to quality inspection and clinical tests, ensuring that each shot effects into the right depth set by default. Produces thermal effect to the dermal collagen fibers and stimulate the fat layer and SMAS. The effect will be shown after the operation, while the best effect will be seen after two months. It can be effective for 2-3 years. 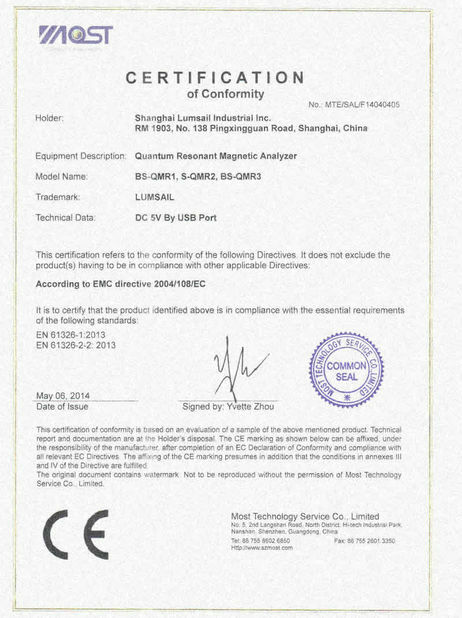 Steady output, the energy will skip the epidermis, no effect for surface skin.